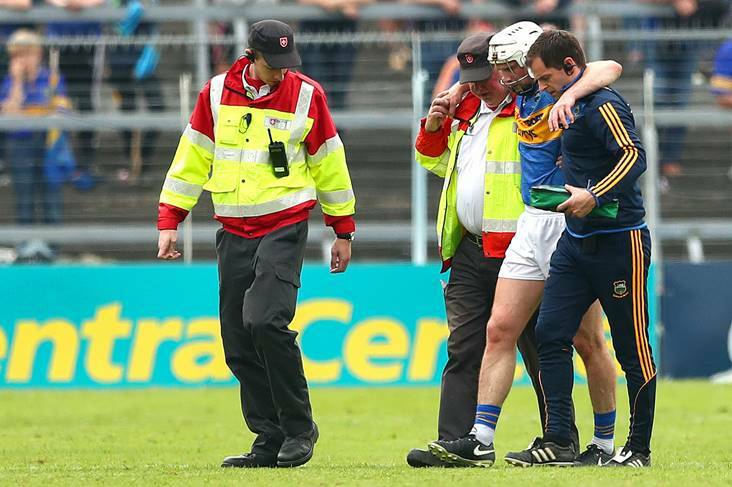 Tipperary’s 2016 All-Ireland winning captain Brendan Maher made a welcome return to the field of play yesterday for the first time since rupturing his cruciate ligament against Clare last June. Maher lined out at centre-back as Borris-Ileigh registered a 1-18 to 1-15 Tipperary SHC first round win over holders Clonoulty-Rossmore at Hollycross. Premier County boss Liam Sheedy will also be pleased to hear that Dan McCormack came through the match unscathed as the countdown to the Munster SHC opener against Cork gathers pace. Elsewhere, Thurles Sarsfields suffered a surprise 0-15 to 0-24 opening weekend loss to Eire Og Annacarty. Aidan Griffin sent over nine points for the underdogs while Brian and Tom Fox also impressed. Hoping to go one step further than last year, 2018 defeated finalists Nenagh Eire Og got the better of Upperchurch-Drombane by 2-21 to 1-15 while Loughmore-Castleiney had to settle for a share of the spoils with Burgess (2-21 apiece).